Perfect for back to school, decorating lanyards, anything! 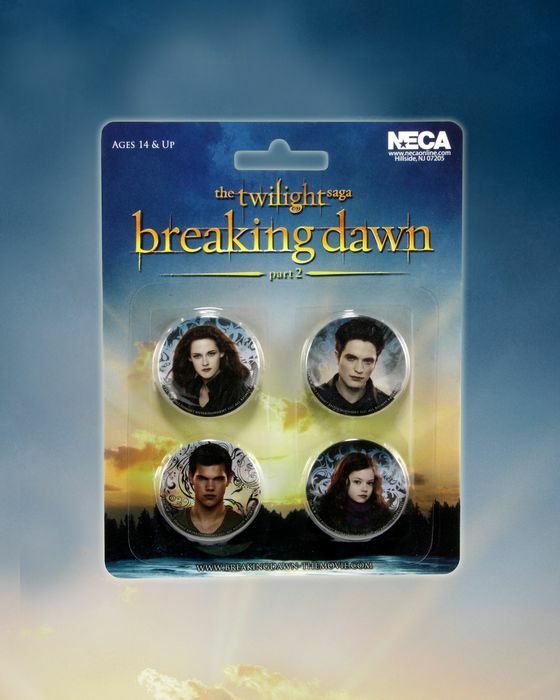 This 4-piece set of character pins from Twilight Breaking Dawn Part 2 features Bella, Edward, Jacob and Renesmee! Pins measures about 1.25″ across. A must-have for any Twilight fan!